Former Sen. Joe Lieberman (I., Conn.) officially withdrew himself from consideration for appointment as FBI director in a letter to President Donald Trump on Thursday. Lieberman withdrew his name citing concerns about conflict of interest, the Wall Street Journal reports. These concerns stemmed from Lieberman's work at the same law firm as Trump's private lawyer Marc Kasowitz, whom the president recently retained to provide personal counsel on the on-going Russia investigations. "I do believe it would be best to avoid any appearance of a conflict of interest, given my role as senior counsel in the law firm of which Marc is the senior partner," Lieberman wrote in a letter Wednesday. He thanked Trump for the opportunity to discuss "the possibility of being nominated." Lieberman was considered the front-runner for FBI Director after he met with Trump before the president's first foreign trip. 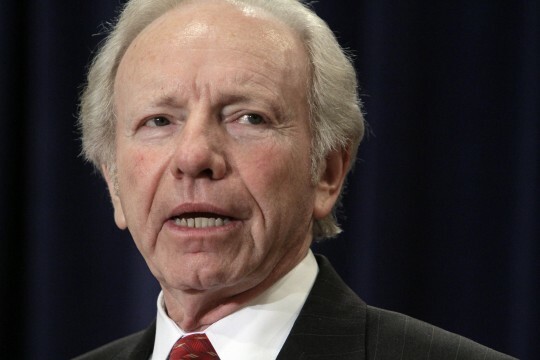 The pick drew support from many, but not from Senate Democrats, who disliked Lieberman for his estranged relationship with their party and his connections to Trump through Kasowitz. Rumors of Lieberman's withdrawal surfaced yesterday, when it was reported that he was no longer under consideration by the White House. Those reports attributed the decision to some in the White House who felt Lieberman lacked sufficient federal prosecutorial experience. The withdrawal is likely to lengthen the process of appointing a new FBI director, which has been ongoing since earlier this month when Trump fired former Director James Comey. Trump met with three other contenders last week: Acting Director Andrew McCabe, former FBI official Richard McFeely and former Oklahoma Republican Gov. Frank Keating. The Journal also reported that Attorney General Jeff Sessions and Deputy Attorney General Rod Rosenstein interviewed former U.S. Attorney Ken Wainstein for the role. This entry was posted in Politics and tagged Donald Trump, FBI, James Comey, Joe Lieberman. Bookmark the permalink.